Harris Jayraj is all happy and excited about the audio of 7am Arivu and Nanban. Both the albums take place and the most awaited as each of the film carries top star. 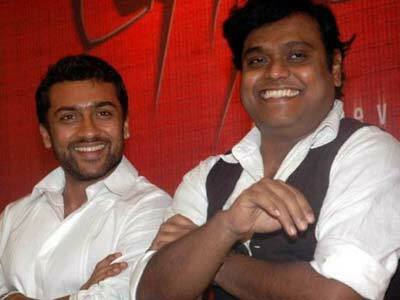 Recently Harris said “The audio of 7am Arivu will release within a span of two weeks. The film is currently undergoing the post production process and will release on the eve of Diwali. I also looking forward for the film and it will be a milestone in the history of Tamil cinema. I have used instruments to give the feel of ancient music. 7am Arivu story shifts between 21st century and 8th century. The music was really challenging as well as interesting”. When quizzed about Nanban the music composer revealed that the album carries five songs, of three songs have been completed. Undoubtedly both the albums will take their place on top 10 chartbusters in 2011.